How it's going & what I've learnt. Today marks the end of exactly seven weeks since I first began my Social Media and Commerce internship in the heart of London, for a very swanky couture fashion brand. It's been eye opening, it's been BUSY, it's been the biggest whirlwind of my life but boy has it been a good'un so far. As I study fashion marketing, this forms part of our 3rd module of second year, with this being a compulsory 11 weeks internship (we had to find ourselves) although me being me and not being able to say no to anything I've extended mine throughout summer. Of course I'm no stranger to the good old 9-5, if you have read this blog a whole 3/4 years ago (please say you didn't, I dread to think what my blog content look like back then, I don't even want to look) you will know I used to work in an office for a good 18 months. It was my stepping stone between sixth form and uni. Back then, I will admit it wasn't the best job for a then 19 year old Lisa, skills-wise, yes I was the best experience I have had and been able to carry through to this day, but on the whole working at a double glazing office (yes you read that right) at the time wasn't the most passion-driving. But, it's taken me till this internship to really value what I learn back in that office. As this internship involves a lot of admin work on a daily basis, I've basically reignited everything I was taught before, but instead of it being double glazing and PVC (yes my job really was that glamorous) it's now in couture fashion - talk about a glow up, eh?! The internship itself, as cheesy as it sounds, is amazing, yes the days may be long, I'm talking I am up at 6.30am and don't get back through my front door till 7.30pm, but whilst I am at the office I absolutely bloody love it. Like I said, I deal a lot with the administration side as well as run the Social Media channels, so it has been a great learning curve were I haven't felt out of my depth at all, it's all been positive. 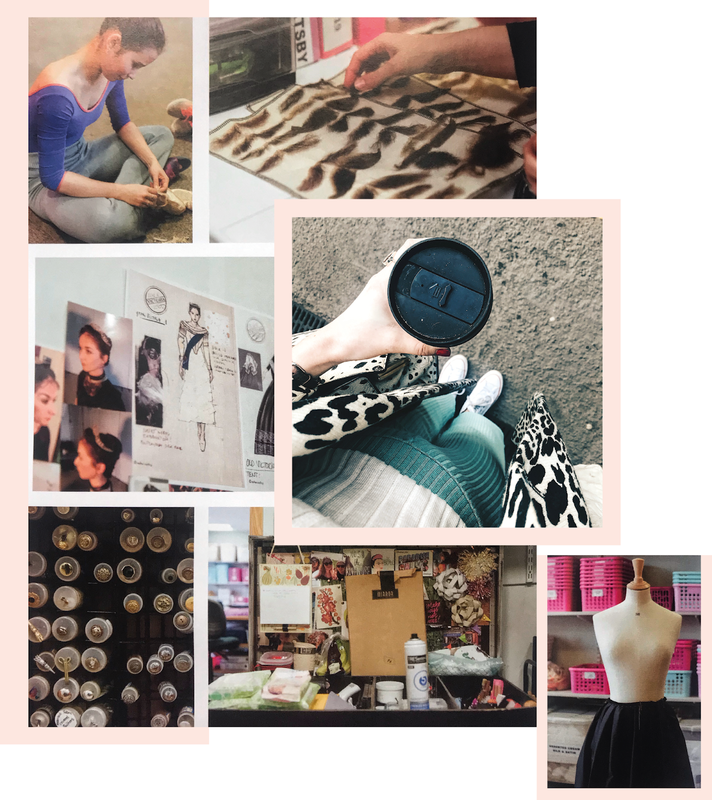 As it is a small company I work for, I get to see a lot of the other parts to Couture, all the making and processes of design to constructing the garment. Obviously, all the technical side is beyond me, but all the girls I work with are absolutely great, so seeing them all create beautiful gowns only adds to the excitement everyday. Of course, its easy enough being all smooshy and positive whilst ignoring writing about the negatives, but honestly speaking, the long days and getting in so late is the only negative I've had so far. I have had days were I have debated taking a quick nap on the train from exhaustion, but tiredness is one of those things that can easily be masked by coffee HAHA! well that's my way of dealing with it! Anyway, this blog post was more of a keepsake for me more than anything. I'm going to be Interning until the end of August were I may well do a full round-up of how it has gone (hopefully as it's started well it can only get better?! let's hope so..) but I just wanted to write a little something for me to be able to look back on, so in future when I have my big girl job after graduating I can look back at this time as a little fish in a big pond - just had a mild panic that I'm graduating next year, right let's round this post up before I go into meltdown mode of that haha! !